When you think of Hong Kong, you’d be forgiven for believing that it’s all dumplings, shopping, and delicious mango desserts. While this is all quite true, there is so much more to Honkers than these truly wonderful things. We’re talking unexpected eats, hidden drinking spots, and some unique places to spend your cash. Heading to Hong Kong soon? You lucky thing, you. 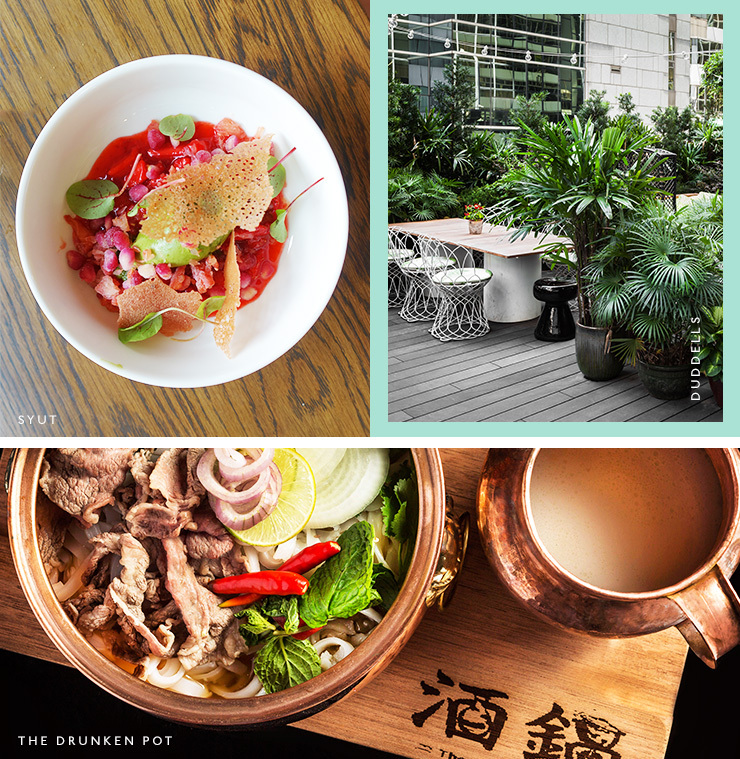 Here are a few spots you need to add to your must-eat/drink/do list when in HK. Obviously if you’re a fan of The Urban List then eating is pretty high up on your priority list. You also probably know that the eating in Hong Kong is fantastic and varied. Here are just a few places to satisfy the belly while in Honkers. This huge restaurant in TST (Tsim Sha Tsui) specialises in glorious hot pots. We suggest ordering their signature five-in-one hot pot that has a selection of five kinds of broth with a range of ingredients you can cook in said broth. The cocktails here are pretty special too, if you can tear yourself away from the hot pot for a moment. For a little bit of fanciness without the stuffiness, head to Arcane in Central for a meal you won’t soon forget. As the first Aussie to be awarded one and two Michelin stars, Chef Shane Osborne is cooking up some mean modern European dishes in the kitchen. The menu changes regularly depending on the season, so you can expect something new with every visit. Part art gallery, part restaurant, Duddell’s is a two Michelin-starred dim sum restaurant in Central that is serious about their food and art. With over $24 million worth of art in the building at any one time, and various beautiful spaces in which to enjoy your dim sum, this is certainly one for the must-eat list. Seafood lovers, listen up! Sing Kee Seafood Restaurant, located in the seaside locale of Sai Kung serves up Michelin-starred seafood from its not-so-fancy looking restaurant. It doesn’t matter though, it’s all about the food here. For a little bit of clean eating (you know, to offset all of those dumplings), Grassroots Pantry in Sheung Wan specialises in unprocessed, healthy, and organic ingredients. The clean, modern vibe and deliciously nourishing food is a welcome break from all the crazy eating you’re probably doing. Founded by HK-based band tfvsjs (don’t worry, we don’t know how to say it either), SYUT is located in an old factory building up a delivery lift. Once you find it you’ll be welcomed by a light-filled space and crazy/creative East-meets-West style dishes. It’s hidden, it’s cool and you’ll be pretty pleased with yourself if you get there. Of course after all that eating and shopping you’ll probably want a few drinks. We’ve uncovered some unexpected bars in Hong Kong where you can get your cocktail on (or whatever your libation of choice may be). This hidden rooftop bar serves up cocktails and food in the middle of Central. It’s one of those super exclusive places where you need to get an access code before turning up. Yep, faaaancy. Grab a table outside (if you can) and a cocktail and settle in for the evening. Did you know Hong Kong brews craft beer? Neither did we until we paid a visit to The Ale Project. With plenty of local and international beers on tap, it’s the perfect place to cool down when it’s humid outside. There are also some pretty interesting Asian fusion style dishes to snack on too. Pork belly nachos with kimchi sour cream? Umm, yes please. This 1950s style cocktail bar is just plain cool. The interior is reminiscent of luxurious first class airplanes from back in the day and there’s often a jazz band crooning along while you sip on your cocktails. All the classics are here, but we suggest sampling one of their signatures. A Tiki bar in the middle of Honkers? Yep. This bar in East Wan Chai has some pretty amazing views over the city (it’s on the 29th floor) and some refreshing Tiki cocktails to boot. The open-air terrace is a great place to start (or end) your night, and you may or may not get lost in their extensive cocktail list. A haven for cool expats and locals, Salon No.10 is set away from hectic Lan Kwai Fong. 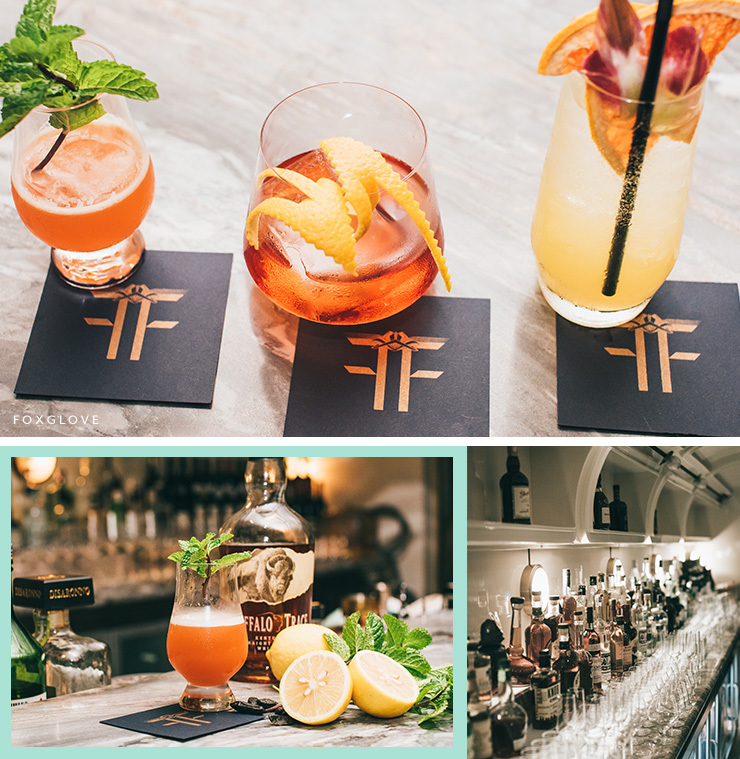 With great DJs, expertly made cocktails, and a small but enthusiastic dance floor, plan to spend a few hours here. Hong Kong is full of things to do. Whether you’re in need of a bit of pampering or want to get active, there’ll be plenty to keep you out of trouble. If getting your nails did and your feet tended to is on the agenda, Hong Kong is full of cheap and cheerful nail salons and reflexology (just look up for all the neon-flashing smiling feet). If you’re looking for some trustworthy options Iyara Spa and Happy Foot are great for a relaxing foot massage, while Flawless offer great mani/pedis with a glass of sparkling on the side. Need to work off all the indulgence? Go for a run around the beautiful Victoria Park, take a walk around the Peak Circle (it has the most amazing views over Hong Kong) or stroll down the waterside Kwun Tong promenade. If you want to see a different side to Hong Kong, take a boat trip around the islands to Hap Mun Wan (Half Moon Bay) and see the rugged coastline, a few picturesque beaches, and maybe even a traditional floating fishing village. Located in an industrial building, play giant pool with your feet at BALL ROOM—it’s harder than it looks! To get a bit of culture on, Hong Kong has a number of art galleries. We suggest checking out Osage, Above Second and Blindspot Gallery. As you all know, Hong Kong is a shopper’s dream. With everything from high-end designers to cheap market finds, it’s pretty easy to spend a few dollies. As cool as their magazine, Monocle Shop stocks a limited range of clothing, homewares and books. Liger is a quirky fashion-lover’s paradise, whereas Grana sells great quality basics (also available online for shipping OS). If you’re after the perfect shirt, PYE is a Hong-Kong based design brand doing just that. Homewares enthusiasts will fall in love with Klondike, Igloo, and Good Design Store. 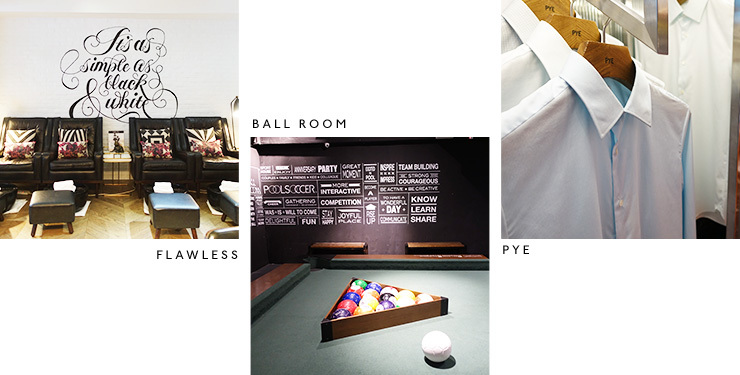 Located conveniently next to Causeway Bay, boutique hotel Mira Moon is all kinds of awesome. With large rooms, baths with the amazing views, and even a nifty pocket wi-fi to take around with you, you’ll find it hard to leave Mira Moon when it comes time to go home. If you want to stay connected and not base your eating/break preferences on whether a place has free wi-fi, get yourself a Tourist SIM Card which gives you plenty of data and local voice calls. It makes life waaaay easier. To get around on public transport (even though the cabs are super cheap), pick up an Octopus Card available from MTR Customer Service Centres and various other outlets around Hong Kong. When catching a cab, it’s helpful to have the name of your hotel written in Chinese. This helps to avoid any confusion when trying to get back to the hotel after a long afternoon of shopping (we learnt this the hard way). Cathay Pacific has over 70 flights a week to Hong Kong from major cities in Australia and two flights daily from Auckland with the choice of flying in economy, premium economy or business class. With overnight flights available, you can go to sleep in one country and wake up in Hong Kong (and ready for all the eating) without the jet lag or wasting a day. If you can swing it, business class features a flat bed (OMG) and has super comfy doonas—which means if you get the overnight flight, you’ll land feeling almost as fresh as a daisy. They’ve also got a schmick new Business Class lounge at Hong Kong airport (designed by Isle Crawford—the same interior designer who designed Duddell's), which has a cheese and meat bar, dim sum bar and schmick showers to freshen up. Umm, yes please! The writer was a guest of Hong Kong Tourism Board and Cathay Pacific.